Rev. Jennie Gordon is a Panel Member for the Walking Together as First and Second Peoples Circle. We asked Jennie to share some of her story. Together with my husband Rev. 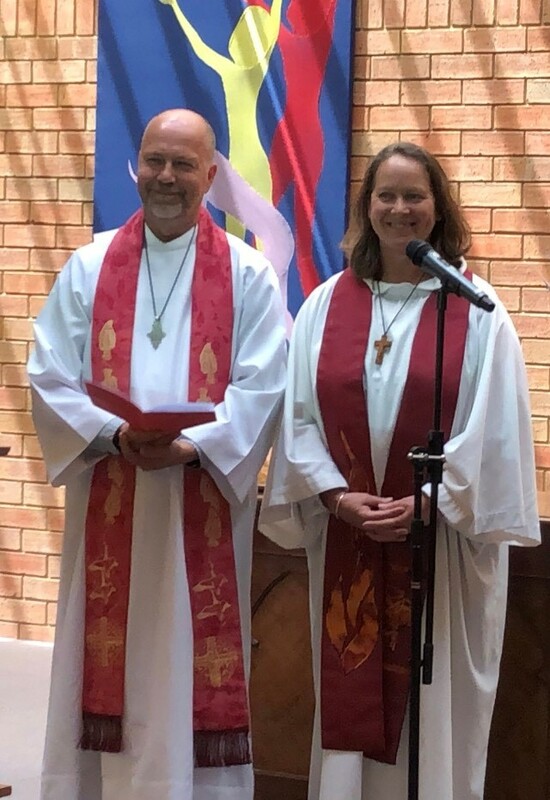 Arnie Wierenga, we’ve just moved ministry placements and are now working as Pastoral Resourcing Ministers across the glorious Gippsland Presbytery in the Synod of Vic/Tas. We’re living with our two lively dogs in the house my parents built almost 50 years ago on a windy cape overlooking the surf. As a child I happily dressed in scratchy woollen tartan and danced the Highland Fling on the backs of trucks in dusty country shows. One story which makes me passionate about this Circle is this: On a visit to Cornwall I suddenly stopped the car and took a photo out over the hills towards the ocean, for no apparent reason. My maternal ancestors, generations back were tin miners in the area. When I came home and showed the photos to my aunt she paused at that one and said, “Oh, I see you found the family farm.” There’s a connection to land and country deep within us that we ‘Westerners’ don’t or can’t understand. I was born in the Wimmera, but that’s not home. I’ve been walking these beaches where I live now and wading in the waters for most of my life, but they don’t belong to me, they belong to the Bunurong people. There’s so much to learn, so much to acknowledge, so much to explore and seek forgiveness for and so much to celebrate in our unfolding journey together. One hope I have for the Circle is that we will continue to learn from each other; language, culture, theology, kinship … and through that learning we will recognise the Spirit in our life together as First and Second People, and the Spirit will heal, inspire and enliven us as church. An Australian Indigenous person who inspires me is Joel Bray, a Melbourne-based artist of Wirradjuri, Scottish and English heritage. I recently experienced his performance at Chunky Move in Melbourne. He work was titled Dharawungara and he described it as a “lament for the right of passage I can never do”. A melding of dance, spoken word, theatre and story, he told of a realisation that had pierced through into the abyss of depression, the uncovering of a ritual, his birthright, that had been stolen from him, along with land and language. I saw a white man dance and his shadow played dark and defiant on the wall, ancient movements. It was brave and visceral storytelling and I admire his courage, his confronting honesty and his gifted capacity to bring us to a fresh and uncomfortable understanding. Another step on the road to healing and wholeness as we walk together.